Finally, the sequel to MOONLIGHT BAY with the same cast (minus Jack Smith) and Doris’s last film with Gordon MacRae. Great turn of the century tunes in a soundtrack album that reached #3 in album sales, at the time cementing a title that Doris Day retains: Biggest Selling Female Album Artist of the 1950’s. As a sequel, this film, too, is based on the "Penrod" stories by Booth Tarkington. Penrod himself (played by Billy Gray) takes a back seat to the main plot, concerning the hot-and-cold romance between Doris Day and Gordon MacRae. Gordon will not marry Doris until he is financially able to do so, which results in several breakups and reunions before the final clinch at the local ice rink. A subplot involves	Penrod's suspicions that an attractive French actress (Maria Palmer) is not only romancing his father (Leon Ames), but is also an enemy spy! Set shortly after the end of World War I, Silvery Moon takes full advantage of that era's popular songs. If you don't blink, you will catch a glimpse of Merv Griffin in the final scene (as the bandleader at a skating rink). Father Winfield: [about his tomboy daughter getting married] Well, I feel like I'm losing a son. Father Winfield: [about Wesley's pet turkey] For the last time, that turkey does not belong in the house! Wesley Winfield: Well, if he's good enough to be on the table, he's good enough to walk around it. Marjorie Winfield: Bill, it's so difficult for me to ask you to understand, but... Why I can't possibly think of marrying you right now. And I can't tell you why. Bill Sherman: What do you mean you can't tell me? Why, I'm almost your husband! At least, I thought I was. Marjorie Winfield: You will be. Someday. But for now Bill, couldn't you please be sweet and understanding? Bill Sherman: But I don't want to be sweet and understanding! I want to be a husband! Bill Sherman: It never entered my mind, Marjorie, that you ever had any doubt about your feelings towards me. But now everything's quite obvious. You're not even sure I'm the man you want to marry! 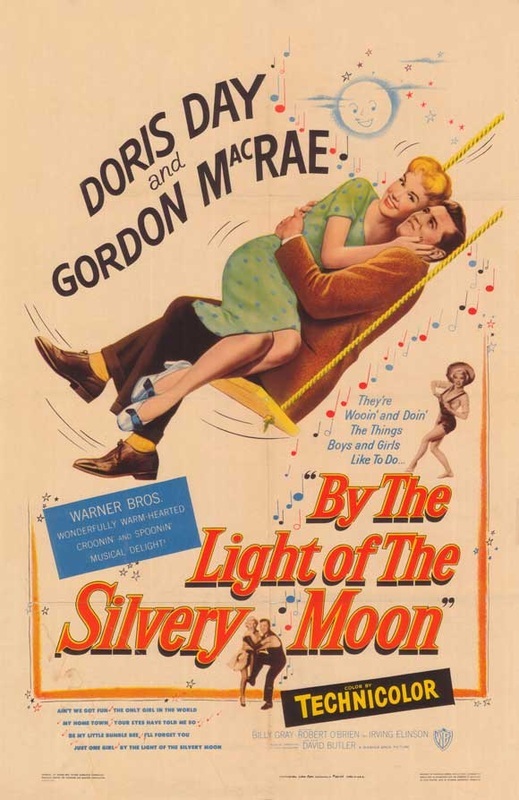 "By the Light of the Silvery Moon" - Sung by a chorus during the opening credits, Doris Day, Gordon MacRae, Leon Ames, Rosemary DeCamp and others. Played often throughout the film.